The X-NUCLEO-53L1A1 is an expansion board for the NUCLEO-F401RE and NUCLEO-L476RG development boards. It provides a complete evaluation kit allowing anyone to learn, evaluate, and develop their applications using the VL53L1X ToF, long-distance ranging sensor technology. The X-NUCLEO-53L1A1 expansion board is delivered with a cover glass holder in which three different spacers of 0.25, 0.5 and 1 mm height can be fitted below the cover glass to simulate various air gaps. Two VL53L1X breakout boards can be connected using two 10-pin connectors. The X-NUCLEO-53L1A1 expansion board is compatible with the STM32 nucleo board family, and with the Arduino UNO R3 connector layout. 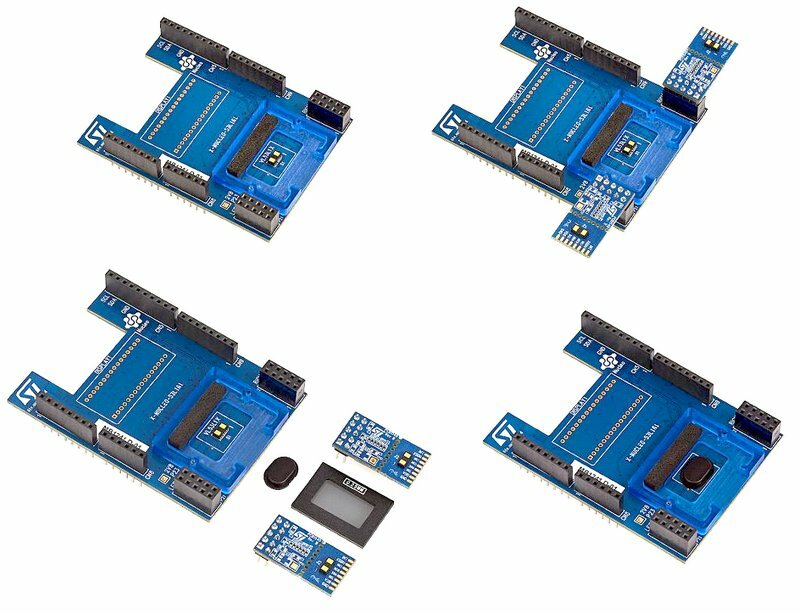 Several ST expansion boards can be superposed through the Arduino connectors which allows, for example, the development of VL53L1X applications with Bluetooth or Wi-Fi interfaces. Full system SW is supplied, including code examples and graphical user interface. Three spacers of 0.25, 0.5, and 1 mm height, used to simulate different air gaps between the VL53L1X and the cover glass. Two cover windows to simulate the integration of the VL53L1X into the customer’s final product. Two VL53L1X breakout boards which can be plugged onto the X-NUCLEO-53L1A1 expansion board or connected through flying wires to the X-NUCLEO-53L1A1 expansion board. Two 10-pin connectors to enable the customer to connect the two breakout boards onto the X-NUCLEO-53L1A1 expansion board.